Downdays Magazine Winter 2018 issue out now! What’s that you say? Downdays is more than just an Instagram account or a website? You’re damn right we are. 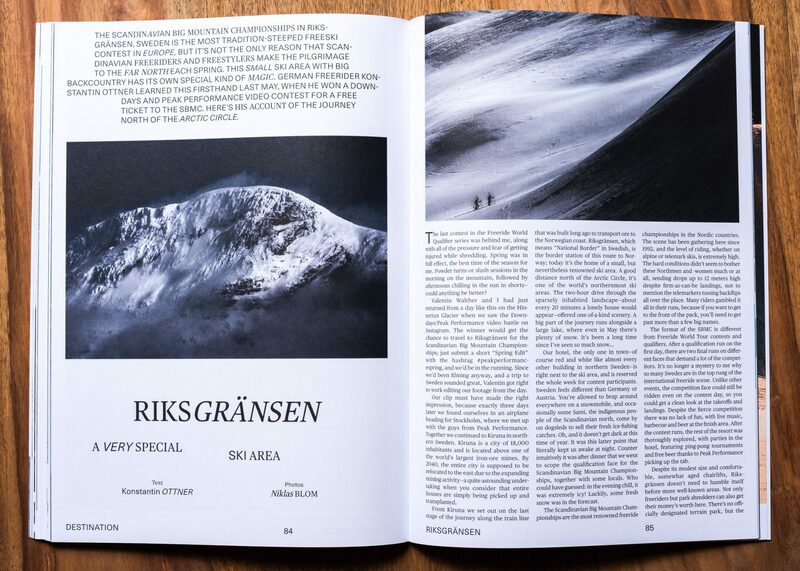 In fact, we happen to be the only pan-European freeski magazine in the market—curating freeski culture from all across the Continent and connecting Europe’s wide-ranging freeski community. Whether you’re from Spain or Sweden or anywhere in between, we’ve got something that will rub you right! 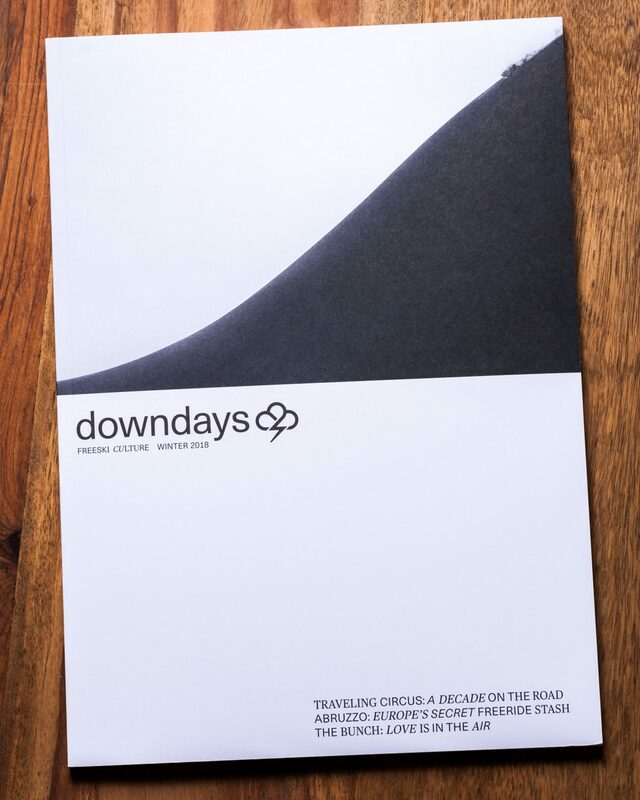 The Downdays Magazine is printed in three different languages—English, French and German—and distributed FOR FREE across Europe. 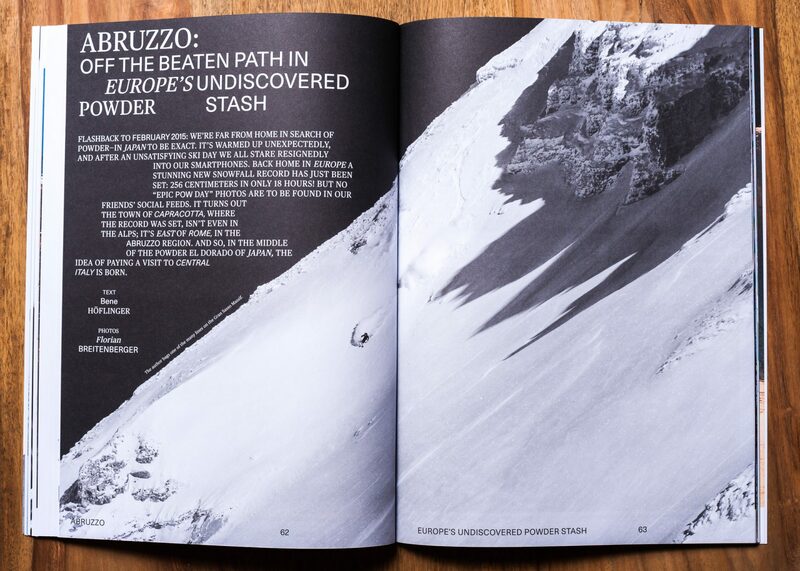 You can pick up a copy at ski shops, resorts and events; just check our Shop Locator at the bottom of any page on our website (including this one) to find a copy near you. 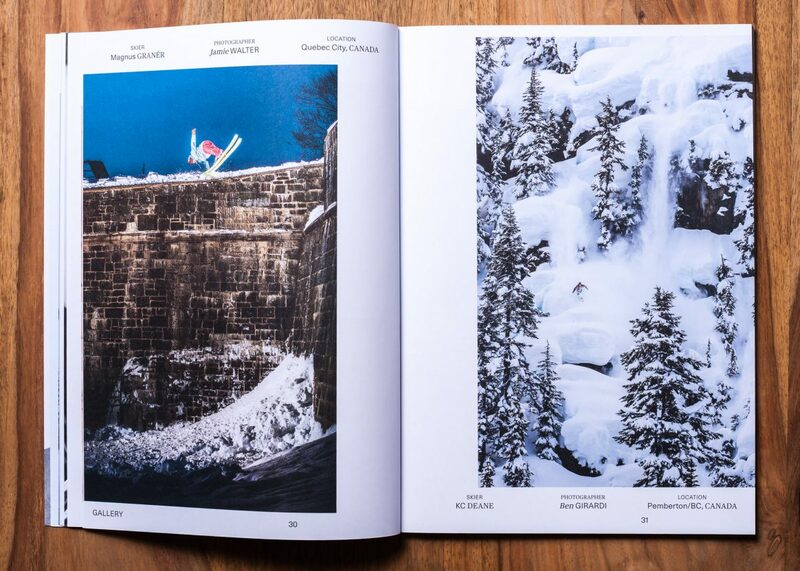 The Winter 2018 Winter issue of Downdays magazine brings you 100 pages imbued from front to back with the love of skiing. Whether you’re a freerider or a park rat, a weekend warrior or the grittiest local, we’ve got a bit of something for everyone who’s passionate about sliding around on snow. On the cover: Colter Hinchliffe in Whistler, Canada, shot by Guy Fattal. For the powder seekers and mountain climbers we’ve got an in-depth interview with Sam Anthamatten, also known as “the Swiss Army Knife of freeriding.” Anthamatten dishes the dirt on his new film project “Ushba,” skiing on the Freeride World Tour, and how his experience as a guide has shaped his skiing. For a glimpse into the life of a professional skier, American shredder Michelle Parker has contributed a special article on the “Longevity of a Ski Career” in which she details growing up around legends like C.R. Johnson and Shane McConkey before embarking on her own path as a pro skier. 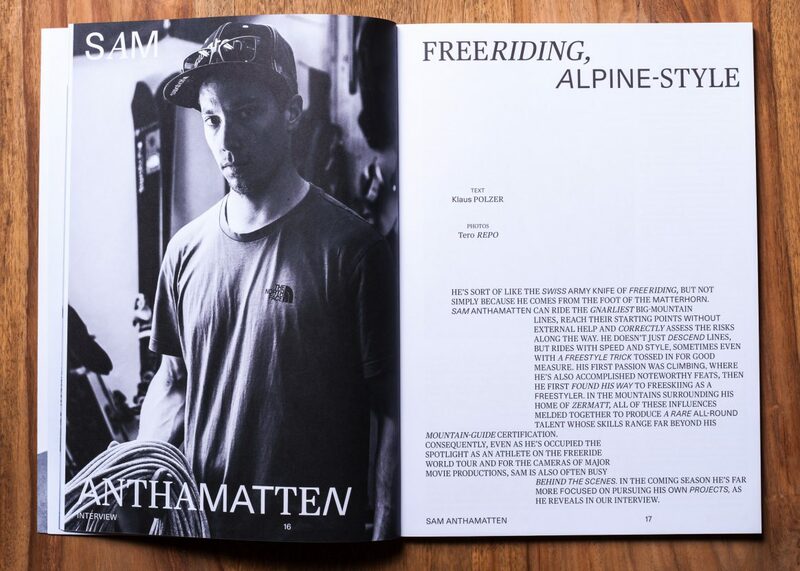 Sam Anthamatten: Freeriding, alpine style. Featuring photos by Tero Repo. In our first feature we celebrate the ten-year anniversary of skiing’s purveyors of keeping-it-real weirdness: the Line Traveling Circus. Step inside the world of Andy Parry, Will Wesson and the rest of the gang as they tell a few stories from their decade on the road producing one of skiing’s most popular webisodes. An Austrian crew ventures to central Italy in search of untracked lines in our next feature on the Abruzzo region, where the town of Capracotta currently holds the one-day snowfall record: 256cm in only 18 hours! Intrigued by tales of legendary dumps like this, Innsbruck’s Freeski-Crew headed south to explore one of Europe’s last undiscovered powder havens. Our final feature in the Winter 2018 issue takes an unconventional look at the influential Swedish crew The Bunch. With evocative photos by Alric Ljunghager and words by Leo Björklund, these pages will transport you into the esoteric Scandinavian state of mind behind the trend-making styles of this special group of skiers. 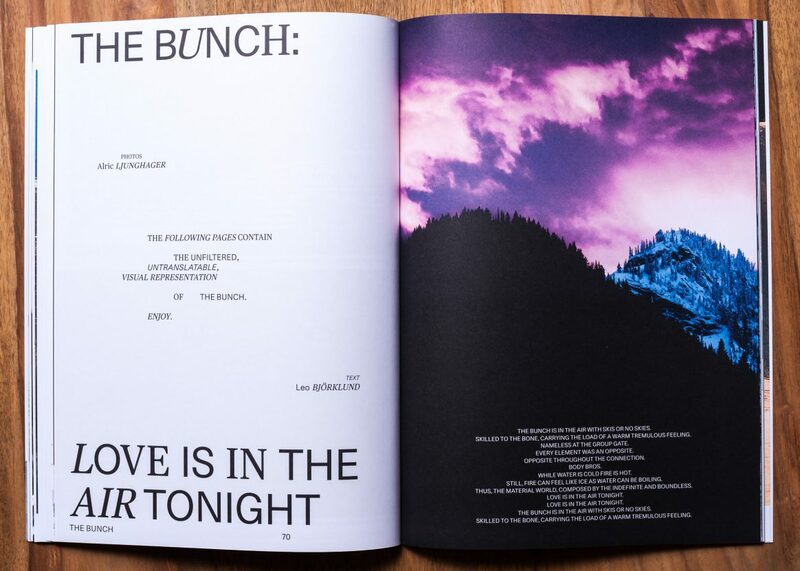 The Bunch wants you to know: Love is in the air. Abruzzo? Where's Abruzzo? Find out in this feature with words by Bene Höflinger and photos by Florian Breitenberger. 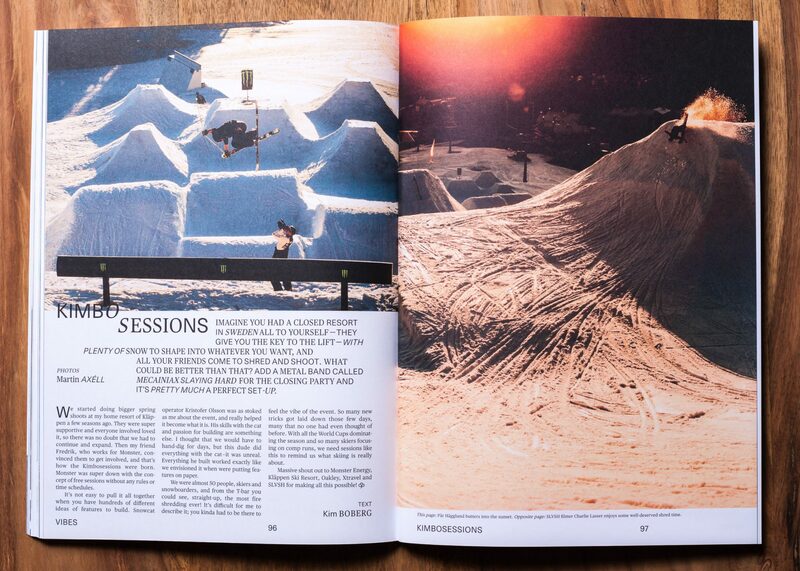 There’s plenty more in this issue as well: event recaps from the laid-back free-touring event Back on Track, the groundbreaking park jam Kimbosessions and the Swedish Big Mountain Championships in Riksgränsen; an interview with skiers Tom Ritsch and Tom Granier; a profile of the Seeking Nirvana webisode project; a look at the development of Livigno as a freeride destination; and of course an action-packed photo gallerY! Kimbosessions: a park jam for the ages. Featuring photography by Martin Axéll. Riksgränsen destination report by Konstantin Ottner. 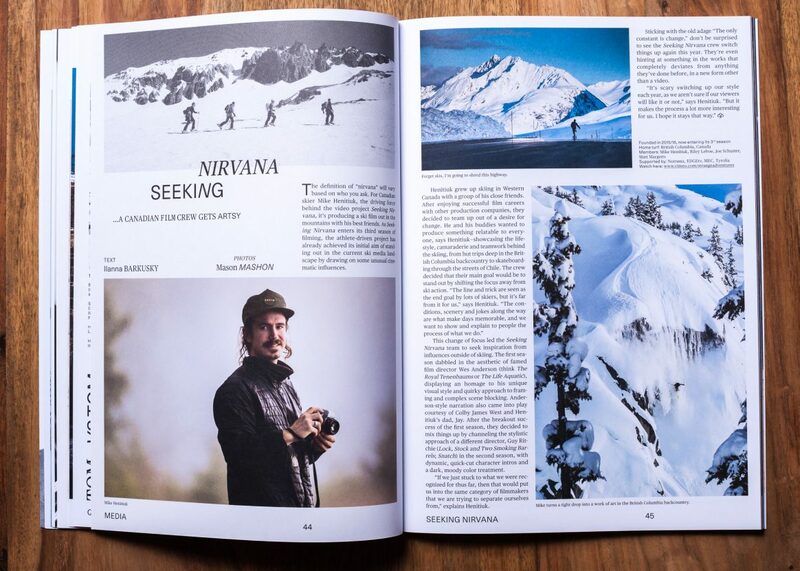 Seeking Nirvana profile by Ilanna Barkusky, photos by Mason Mashon. In the gallery: Magnus Granér by Jamie Walter and KC Deane by Ben Girardi. A sure-fire way of getting your hands on a copy is by coming to our magazine release party on Friday, December 15 in Innsbruck! Beginning at 7PM in the Kater Noster bar, we’ll be enjoying film screenings from local crews, a photo exhibition and raffle for charity, and a good old-fashioned wild rumpus to celebrate the onset winter in style. We hope to see you there! ‘Ring the Alarm’ Tanner Hall presents his 2 year Project!